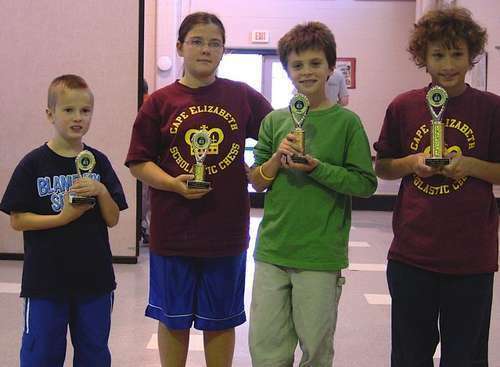 10.15.06 Twenty players competed in the Cape Elizabeth Fall Chess Challenge Scholastic Tournament on Saturday, October 14, 2006 at the Cape Elizabeth Middle School. 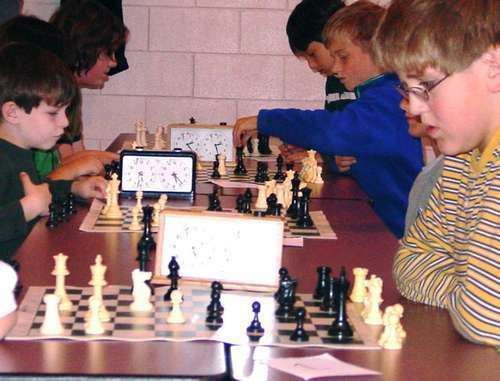 This was the first tournament hosted by the Coastal Maine Scholastic Chess Club. Phil Lowell, President of the Maine Chess Association, served as Tournament Director. The tournament was organized into two Quads, an Open section and an Unrated section. 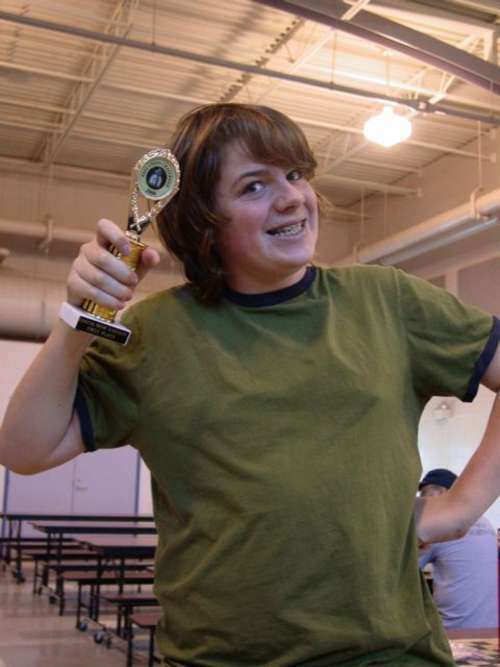 The higest rated player, Lucas McCain, swept Quad 1 with 3 points. Cape Elizabeth native Brett Parker took first in Quad 2 with two wins and a draw. In the Open section, Reed Wommack and Max Berube tied for first with 2.5 points and the Unrated section saw another tie for first between Garrett Gilliard and Nicholas Shedd each earning 2.5 points. Thanks to Jenny Campbell and Ilene Fishbein for contributing to this report. 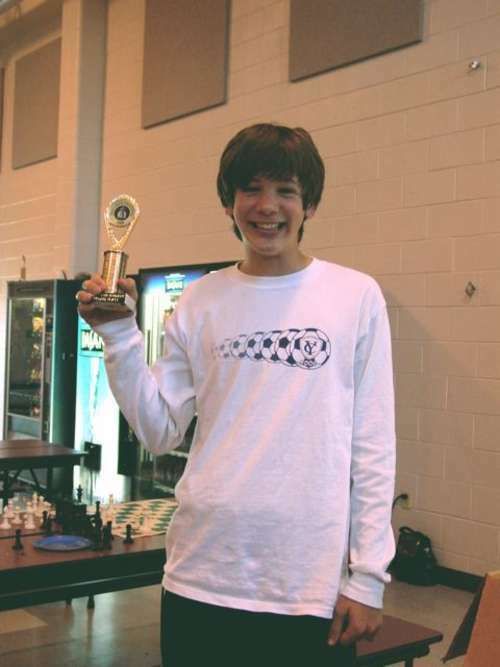 Click here to visit the Coastal Maine Scholastic Chess Club website. Lucas McCain, playing the black pieces, makes a move in his game with Peter Campbell under the watchful eye of Maine Association of Chess Coaches President, Ron Lewis. Matthew Fishbein (left) contemplates the position during his first round game with Lucas McCain. Left to right: Jack Demeter, Shannon Daly, Daniel Brett and Brett Parker showing off their well earned hardware. Lucas McCain striking a (somewhat) similar pose.